Just a friendly reminder about our Jazz this Sunday (30th). 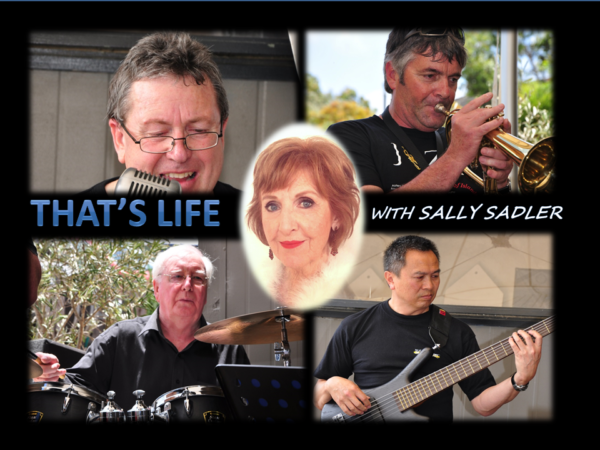 We welcome back “That’s Life” and Sally Sadler. This talented band has played with and accompanied a number of local jazz musicians in the Waikato / Bay of Plenty area, playing in bands like the BBC band, Jazz-a-Plenty, Dr Jaz, Georgian Jazz Gentleman to name a few. The band is delighted to have the support of the vibrant vocals of Sally Sadler. Sally has been singing around the Auckland area, and further afield for a long time and is one of only twelve NZ artistes awarded the ‘Shure Golden Microphone’ Award for Most Professional Performer. Our supporting artist this month is Mark Taipari. Mark is an amazingly talented and experienced Kiwi musician. He has delivered classy and relaxed performances for literally hundreds functions over 30 years in the music industry. We are looking forward to his relaxed style of blues and jazz. We hope you can join us 4.30pm Sunday 30th April at the Waikato Commerce Club.